Jordy Clasie is despite the 4-1 victory of Feyenoord on Fortuna Sittard in the quarterfinals of the TOTO KNVB cup critical of the game of his team. The midfielder realizes that Sunday in the Classic against Ajax should be better. "We gave away too much space, especially in the switchover, and that is something we have done more this season", the 27-year-old Clasie said afterwards in conversation with FOX Sports . "If the lines are too far apart and the rest defense is not in order, you will see that teams like Fortuna can also become dangerous." Sunday (against Ajax, ed.) We can not give away so much space, that's clear. " Fortuna got good opportunities, especially in the first half, but came to score after Andrija Novakovich (1-1). To the dissatisfaction of the home crowd in De Kuip, which clearly showed during the game. "We heard the public complaining and that was right," says Clasie. "In such a match we have to be the parent for ninety minutes, but we were not, and in the second half we should have increased the score earlier." Trainer Giovanni van Bronckhorst agreed with his midfielder. The coach, who will soon announce whether he wants to continue at Feyenoord after this season, is proud that his team managed to revive for the 0-2-defeat against Fortuna last month in the competition. "If you win 4-1, I think you'll win revenge," Van Bronckhorst said. "Our mission is successful Fortuna has some great opportunities, but in general we are the clear winner." The coach was especially pleased with the performance of Robin van Persie, who signed for the 1-0 and the 2-1 in De Kuip. "Robin played well on Saturday (against PEC Zwolle, ed.) And showed again what qualities he has at home, and I expect him to be fit enough to compete against Ajax on Sunday." 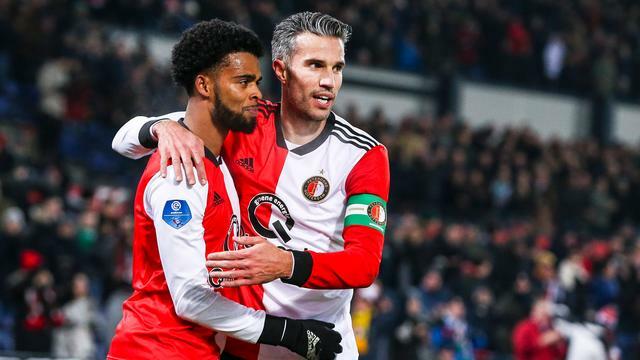 Besides Feyenoord, AZ (2-0 against Vitesse) and Willem II (2-3 against FC Twente) are already certain of a spot in the semifinals of the cup tournament. The final quarter final will be on Thursday-evening between Ajax and SC Heerenveen.